APIn this July 9, 1991 photo, Brothers Tom, left, and Ray Magliozzi pose under a car hood in Boston. Tom Magliozzi, who is one half of NPR’s famed “Car Talk” duo, has died of Alzheimer’s Disease at 77. He and his brother Ray, who were known as “Click and Clack the Tappet Brothers,” started the show in Boston in 1977 and took it national to NPR ten years later. It was a radio staple for decades. The brothers retired from the show in 2012. “Tom’s been such a dominant, positive personality amongst us for so long that all of us in the public radio family — and I include our millions of listeners — will find this news very difficult to receive,” “Car Talk” Executive Producer Doug Berman said in a statement to NPR. Tom was 12 years older than Ray, but they came from a close-knit family. Both graduated from the Massachusetts Institute of Technology. Tom worked as an engineer after college before deciding to switch careers after a life-changing experience. One day, [Tom] was on his way to work when he had a near-fatal accident with a tractor-trailer. He pulled off the road and decided to do something different with his life. 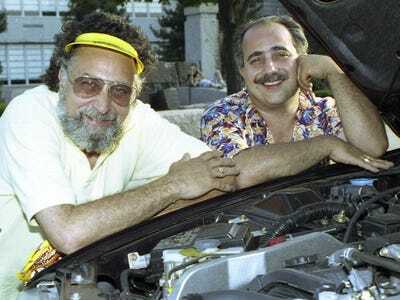 “Car Talk” grew into a truly iconic radio show. Silvia Killingsworth wrote for The New Yorker in 2012 that “Car Talk” was an “inescapable brand” in the ’80s and ’90s and held appeal even for those who weren’t very interested in cars. It never occurred to me to question why we were listening to two guys with thick Boston accents talk about fixing cars, but it certainly wasn’t topical interest. Blissfully ignorant of what a fan belt was, or how much it cost to fix one, I mostly giggled at how the hosts teased one another. They indulged themselves in bad puns, gag humour, and wordplay, and during every show they offered a brain-twisting “puzzler,” or riddle that often required a decent mix of maths and logic to solve. Click and Clack seemed to be having so much fun, and their laughter was contagious. The family is asking that people make donations to the Alzheimer’s Association or their favourite public radio station in lieu of sending flowers.